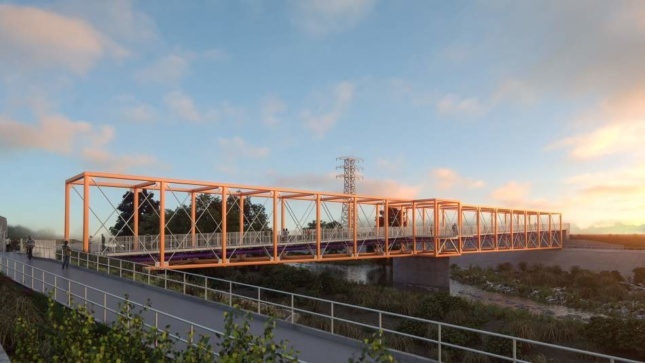 The list of potential pedestrian- and bicycle-friendly bridges coming to a stretch of the Los Angeles River in northeast Los Angeles continues to grow with the recent announcement of a new $20 million span. The latest bridge would cross between the City of Glendale and L.A.’s Griffith Park, connecting over the L.A. River bed and Interstate-5. Designs for the proposed pedestrian link by T.Y. Lin International Group and the City of Glendale call for a winding, board-formed concrete span topped by distinctive white metal trellises. 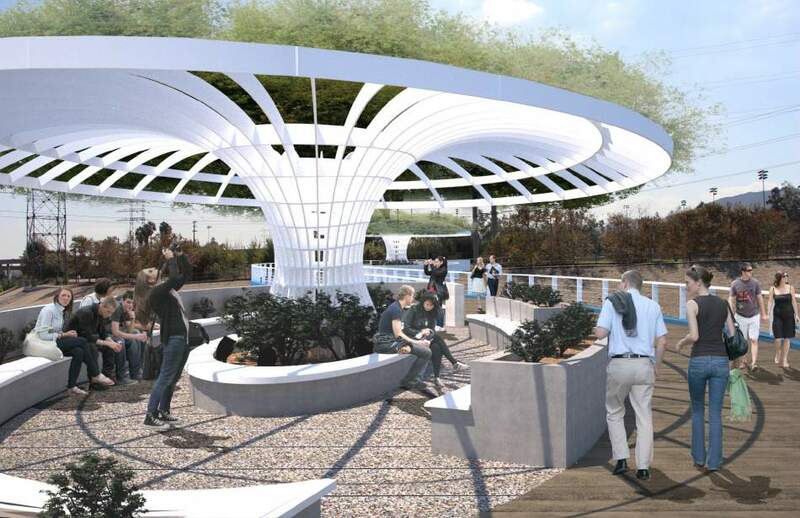 The trellises would be surrounded by integrated seating areas and planting beds. Plans for the exact location of the bridge are currently under discussion, and the city has released three potential sites. The bridge would only be built if a statewide voter referendum is approved for the ballot this year and is majority-supported in 2018. The bridge joins a pair of other proposals, including a $16.1-million scheme for the North Atwater Multimodal Bridge roughly a mile south that is also being developed by the Los Angeles Bureau of Engineering (BoE) on behalf of the City of Los Angeles. Funds for the bridge include a donation from developer Morton La Kretz, a grant from the Caltrans Active Transportation Program, and City of L.A. funding, among others. The bridge, designed by Buro Happold, is 325-foot-long and utilizes cable-stayed technology to span over the L.A. River. The bridge was initially donated by La Kretz, but project costs have spiraled out of control and now far exceed the initial donation amount. 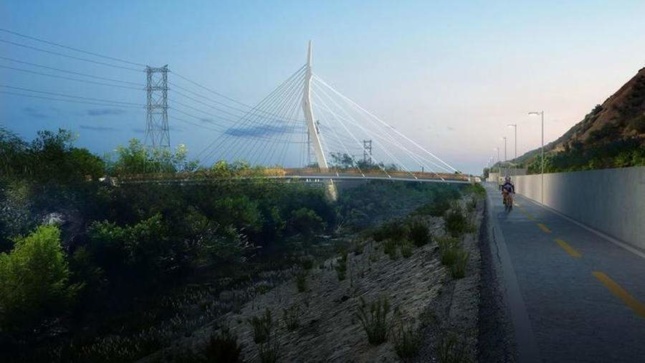 It is expected that the cost of the bridge will now be borne by taxpayers. The bridge is currently under construction and is expected to be completed in 2019. The Taylor Yard Bridge—designed by Studio Pali Fekete Architects— and is also planned for a nearby stretch of the river. The 400-foot-long $19 million bridge would span between the Elysian Valley neighborhood and Taylor Yard, which is currently being vetted for redevelopment. The bridge features a metal truss frame and contains an outlook at the center of the crossing. The bridge is expected to enter construction in 2018. Once these projects are completed, traveling between northeast Los Angeles and all points west of the L.A. River will be much easier than it is today.